Deflecktor to introduce an entirely new, never been seen, fuel-saving lineup of aerodynamic front and rear wheel covers for heavy trucks at the North American Commercial Vehicle Show in Atlanta. The folks at Deflecktor quietly developed their entirely new technology over the past few years, which focused on optimizing aerodynamic shape, minimizing weight and maximizing durability. The fastening technique is completely hidden behind the smooth and aerodynamic wheel cover face - there are no ugly, dirty mechanisms exposed. Extensive aerodynamic modeling drive the shapes – there is simply no wheel cover that matches the entirely smooth convex face of these covers. With no low pressure troughs on its face, the various finishes live long and stay clean through the most challenging environments. The covers float entirely free of the the wheel. The human-centered design embodies the fundamental principles of human/product interaction, which in this case results in instant on/off access to the wheel end. This simple, rugged design provides sensory feedback that assures the user of the wheel cover’s secure and accurate installation. It has been a joy to observe as the rare few react to to the intuitive, clever design. 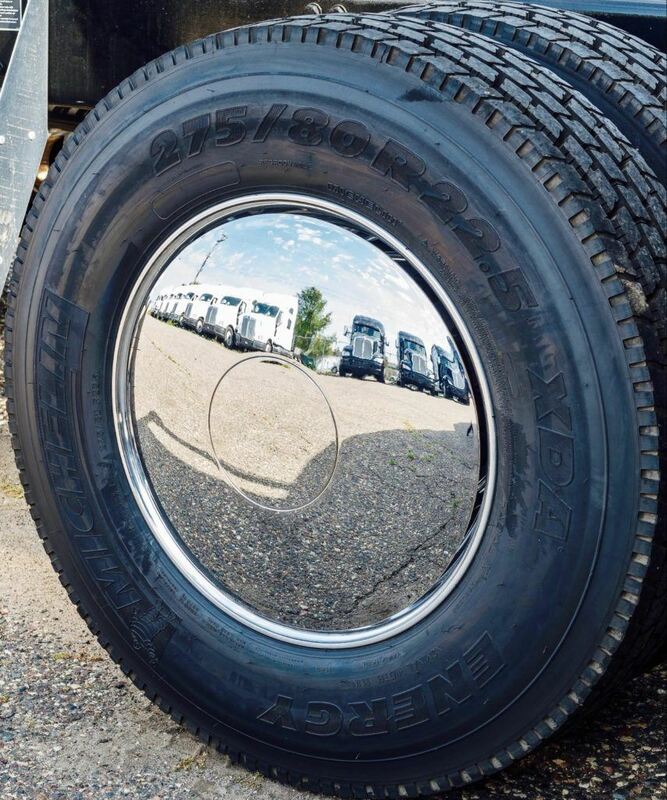 Deflecktor offers these wheel covers in a durable injected polymer that feature several finish choices; mirror chrome, painted silver (11 coats), optically clear polycarbonate and an injected color of choice. All metal components are aerospace-quality stainless that are entirely sourced in the USA. Assembly occurs in the St Croix River Valley of Minnesota and Wisconsin, where most research and development happens. This new Deflecktor cover is aggressively priced to ensure the fastest ROI. The Deflecktor design has multiple worldwide patents pending. Please stop by our booth #4874 and discover our new lineup of aerodynamic wheel covers for both the front and rear wheels and visit us online at www.deflecktor.com to learn more.